The fish sandwich was absolutely delicious. It was fried to perfection. It was moist and quite flavorful. It looked and smelled so good my co-workers wanted to know where I got it from. The macaroni and cheese was delicious as well. Lastly, the customer service was outstanding. Great job Fire fighters! Cannot wait for them to return to Metro Center! 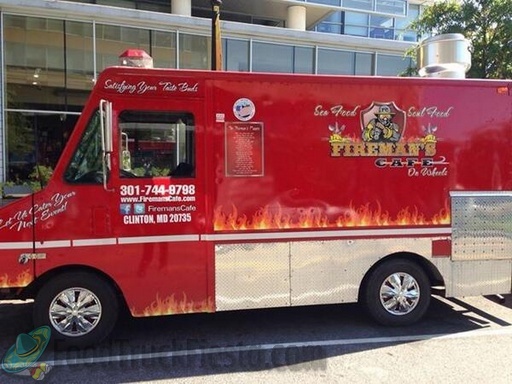 I was excited to see a new truck on the scene, and they served chili dogs/halfsmokes. Every now and then I'd get a taste for one or the other. I decided to try out the halfsmoke and I bought 2, thinking this was going to be a nice treat. Boy, was I wrong ! The meat consistency was mushy and unflavorful, not sure whether it was beef or what, but it tasted like nothing I'd ever experienced before. I thought I had found my go-to truck because I refuse to buy from the hot dog vendors around town. I was very disappointed after eating only half of one and trashing the other. I was too far away to take them back and ask for a refund. Not sure what the other items on their truck tastes like and not at all interested to find out. Giving them a 1 star rating! We here at the Fireman’s Café apologize for your dissatisfaction with our service. 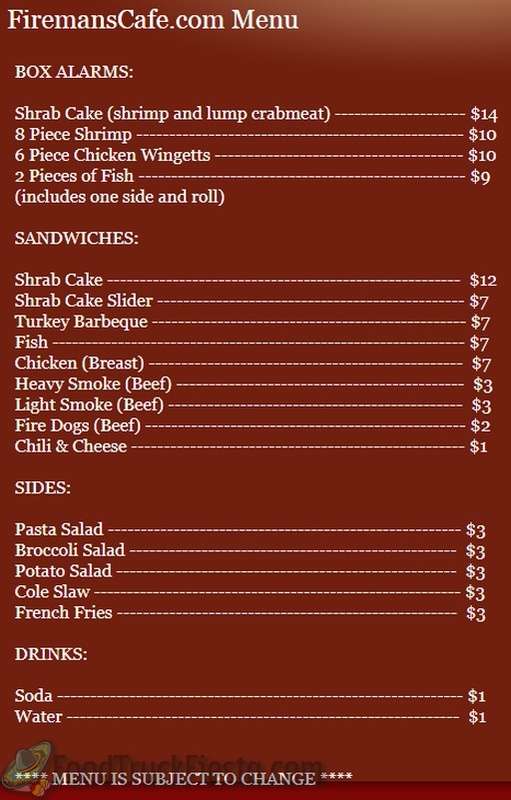 We appreciate your business and would like to invite you back to our truck and offer you a free meal of your choice. We are sorry for the inconvenience we caused, and we will make every effort to prevent a recurrence. Above all, we want our customers happy and full. The Fireman’s Cafe is on the scene in the Washington DC, Metropolitan area. Satisfying your Taste Buds with our fresh Seafood and Soul-food delights.